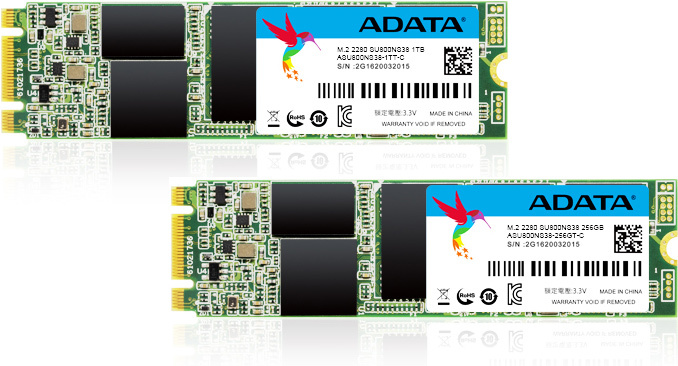 This week ADATA expanded the lineup of its SSDs featuring 3D NAND memory by announcing its Ultimate SU800 drives in an M.2 form-factor. The new SSDs offer similar performance and features as the 2.5” Ultimate SU800 drives introduced earlier this year, hence, the key selling points of the newcomers is their relatively affordable price as well as compatibility with ultra-thin notebooks. The ADATA Ultimate SU800 family of M.2 SSDs include models with 128 GB, 256 GB, 512 GB and 1 TB capacity (the largest one will hit the market a bit later than the others — it is not even listed on the manufacturer's web-site yet). Just like their 2.5-inch brethren, the new drives are based on Silicon Motion’s SM2258 controller (which has four NAND flash channels and LDPC ECC technology) as well as 3D TLC NAND flash memory produced by IMFT. The Ultimate SU800 M.2 SSDs use a SATA 6 Gbps interface and support a DRAM buffer as well as pseudo-SLC caching to maximize the writing speed of the drives. Speaking of performance, ADATA claims that the higher-capacity Ultimate SU800 SSDs feature up to 560 MB/s read and up to 520 MB/s write speed, whereas the 128 GB model is a bit slower when it comes to writing (up to 300 MB/s). 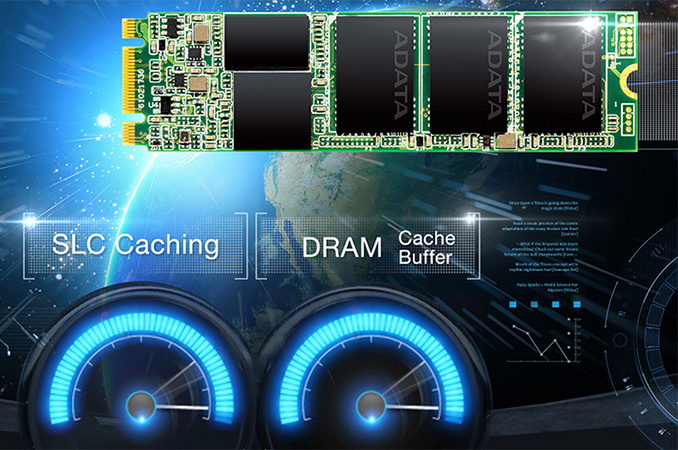 ADATA does not mention random performance of the SSDs as well as their power consumption, but the SM2258 controller in other devices is capable of up to 90,000 read IOPS and up to 80,000 write IOPS, which is good enough for client storage devices. Since 3D NAND is made using larger process technologies than planar NAND flash memory, it naturally has better endurance and higher performance, which is why ADATA declares 2 million hours MTBF for its Ultimate SU800 M.2 SSDs, which is 0.5 million hours higher compared to 2D NAND-based drives. Nonetheless, the warranty period for the new storage devices is standard - three years. Meanwhile, prices of the Ultimate SU800 M.2 SSDs are $5 to $10 higher compared to the same products in a 2.5-inform-factor. ADATA plans to charge $69.99, $84.99 and $149.99 for 128 GB, 256 GB and 512 GB versions of its Ultimate SU800 SSDs. Since the new drives offer higher endurance and better performance than their predecessors, ADATA positions them above the existing TLC-based M.2 SSDs and reflects this in MSRPs. Eventually, the new drives will inevitably get more affordable, but today the manufacturer charges a small premium for 3D NAND-powered SSDs.